This year Americans fell in love with -- or ran screaming from -- the very concept of change for change's sake. But we also came to celebrate the most unchanging parts of our shared history: America's national parks, the oldest in the world, turned 100 years old in 2016. They're gorgeous, they're unique (you get the world's largest living tree and the most lightning-struck man in history), and, for 10 solid days next year, they're all totally free to visit. 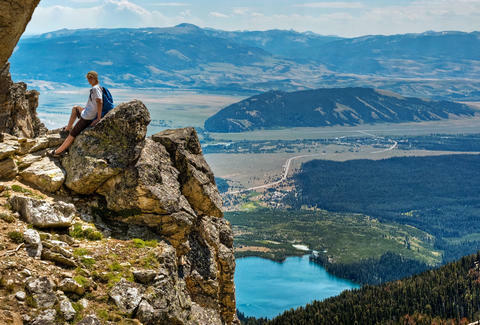 So plan your your trip now, and if you need a little guidance, we've ranked America's 20 most popular parks. Go enjoy the scenic Martian trails of Zion, the sunset-flecked marble mountains of Yosemite, and the Thai-influenced craft beers at Grand Teton (really, that's a thing). Let your cares and worries dissolve in 2017, but whatever you do, don't hop any fences in the Yellowstone basins or you might just dissolve as well. Tanner Saunders is an editorial production assistant at Thrillist who likes most parks, but prefers the national ones. Follow his adventures on Instagram @tizanner.